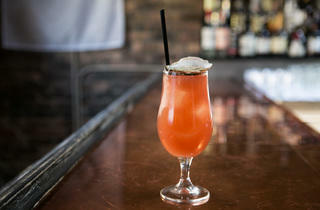 Photograph: Potluck CreativeThe Bloody Mary is topped with an oyster. 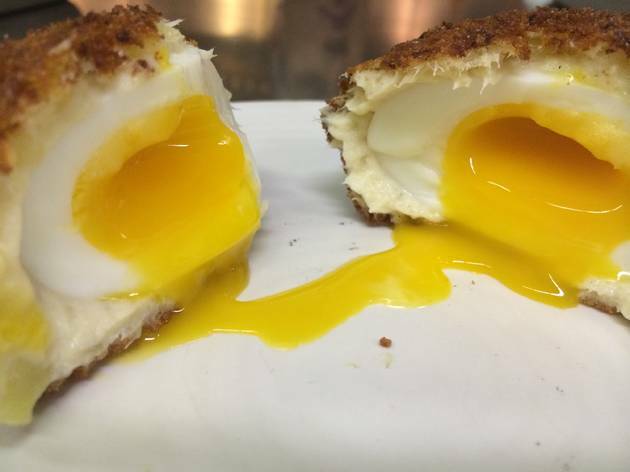 Photograph: Potluck CreativeThe Scotch Egg is made with whitefish brandade. 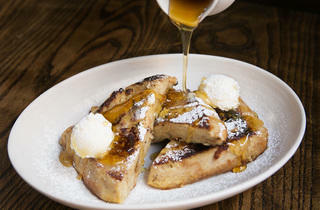 Photograph: Potluck CreativeKinmont serves French toast at brunch. 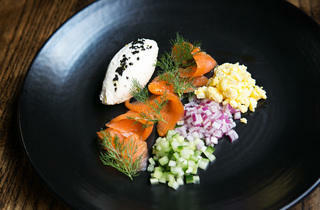 Photograph: Potluck CreativeKinmont serves lox with onions and other accompaniments. 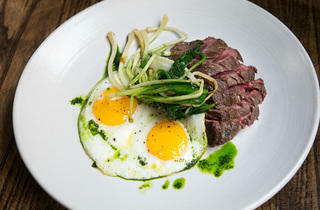 Photograph: Potluck CreativeKinmont serves steak and eggs for brunch. Kinmont is a seafood restaurant, so it should come as no surprise that the house Bloody Mary comes topped with a marinated West Coast oyster. 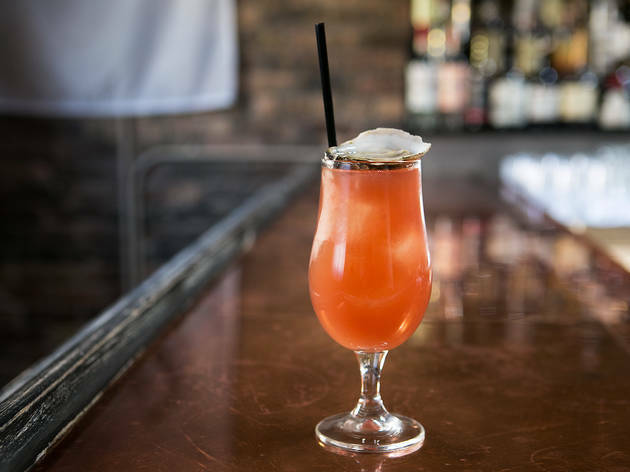 After you slurp the oyster down, the rest of the drink is thick and fiery, so it’s a good match for the savory items on Kinmont’s brunch menu. 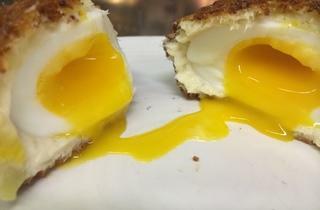 The soft scrambled eggs are a carryover from the dinner menu, and our server told us it was the first item added to Kinmont’s brunch menu. It’s easy to see why—the eggs are scrambled with smoked whitefish, then accented with salty salmon roe and crème fraiche. 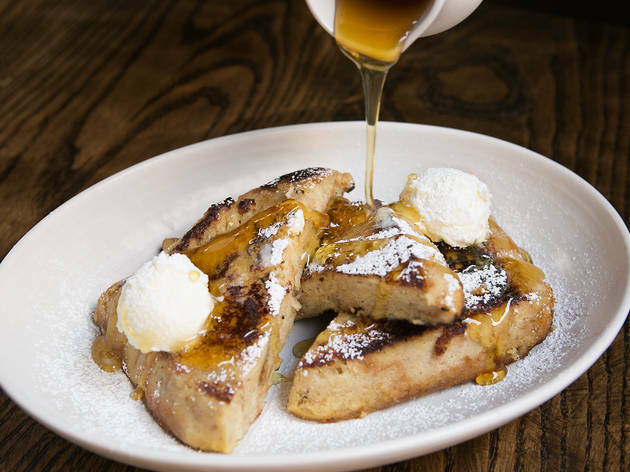 It comes with four slices of toast, so pile on the velvety eggs, or just eat on its on—the perfectly toasted sourdough was the best thing on our brunch table. When we asked our server about the hangtown fry, a layer of baked egg topped with fried oysters, greens and pork jowl, he proceeded to tell us a very morbid story about the dish’s origins (if you’re curious, there are details about the possible origin story here), but thankfully the dish was pleasant, with perfectly fried oysters and thin, crisp pieces of pork jowl. A side of fingerling potatoes, piled with sour cream, bacon, cheddar and wispy scallions, managed to be lighter than expected, and it’s one of the better brunch potato dishes I’ve had around town. 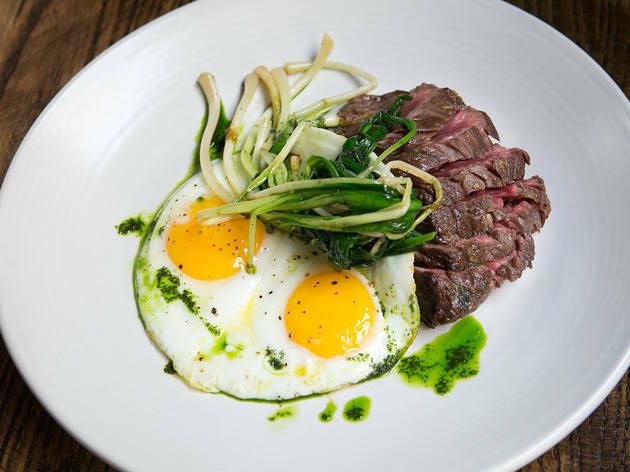 Seafood doesn’t appear in brunch dishes nearly as often as, say, bacon and sausage, but Kinmont’s brunch is a reason to take a break from all the meat-focused brunches in Chicago.